Helping Out in the Kitchen & Having Fun! I'll always remember when my oldest son was 3-years old, and he made "breakfast" for both his dad and I, and his younger siblings (2-years old and 6-months old at the time). For about one whole hour, we were not allowed into the kitchen while he made a "surprise". Well, imagine our delight when we came into the kitchen and found 5 plates, 5 cups, and 5 spoons all carefully laid out--one for each of us. The glasses were filled with water, and on each plate was--wait for it--a single Cheerio! Yes, my son had made a full breakfast for his family, and no family member had been neglected! Of course, we praised him heavily for his kindness and generosity! Now that my son's 8-years old, he'll make a snack of crackers and melted cheese in the microwave, heat a can of soup, or (with full parental supervision) whip up a nutritious fruit smoothie for he, his siblings, or his friends. As my son has been so receptive to helping in the kitchen, I've tried to teach him how to cook quick, easy and healthful meals. When he helps with the family meal, I find that he enjoys eating it more and develops a better appreciation of the work behind it. It also demystifies the meal and the food preparation process: meals do not appear magically, but with effort and care! I taught my son how to make this simple recipe of butter chicken and veggies on a bed of Uncle Ben's Jasmine Rice. We had some nice carrots and onions on hand, as well as a tasty "butter chicken" sauce. Together, my son and I peeled the carrots and onions--and I did the slicing. We washed the chicken, and placed it on top of the onions--fitting the carrots in wherever they'd go. Lastly, we ladled the butter chicken sauce over the chicken and set it to bake. 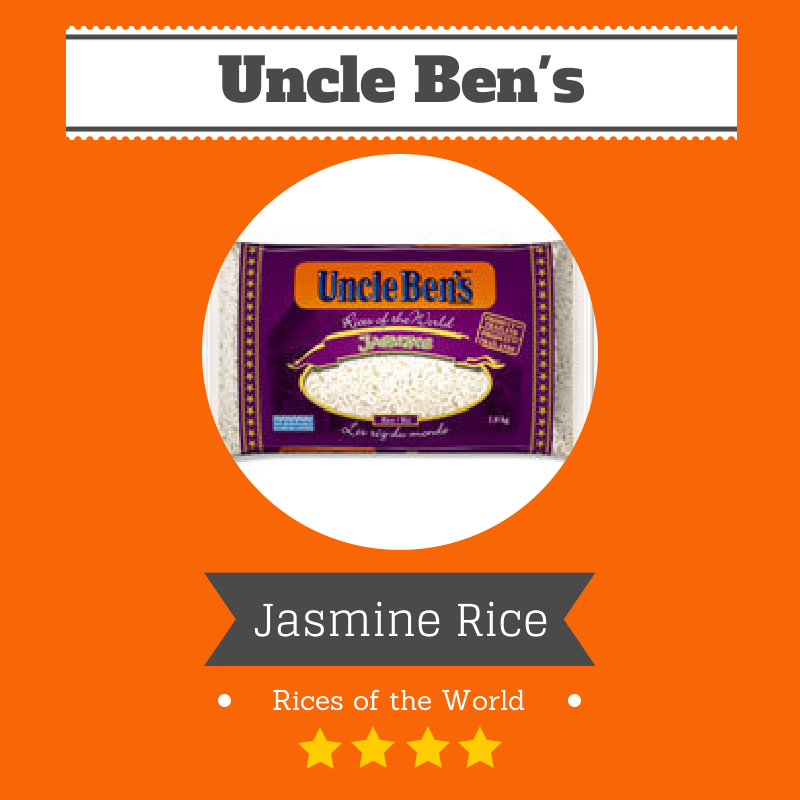 While the chicken and veggies were almost finished cooking in the oven, my son and I made the jasmine rice. We followed the instructions on the bag, and it turned out beautifully. When the meal was ready, I allowed my son to carefully serve himself a plate of jasmine rice with the butter chicken and veggies. My husband really raved about it, as he loves Indian cuisine--and the butter chicken sauce really flavoured the rice nicely. I agree: the meal turned out really well, and we will definitely make it again! More importantly, my son and I cooked the meal together and it helped him build confidence in the kitchen. My recipe was inspired by chef Amanda Riva's chicken and rice recipe, below. Although my recipe differs quite drastically in every way from hers, I'm a firm believer that you should cook with what's on hand, and use the ingredients that your family loves the best. 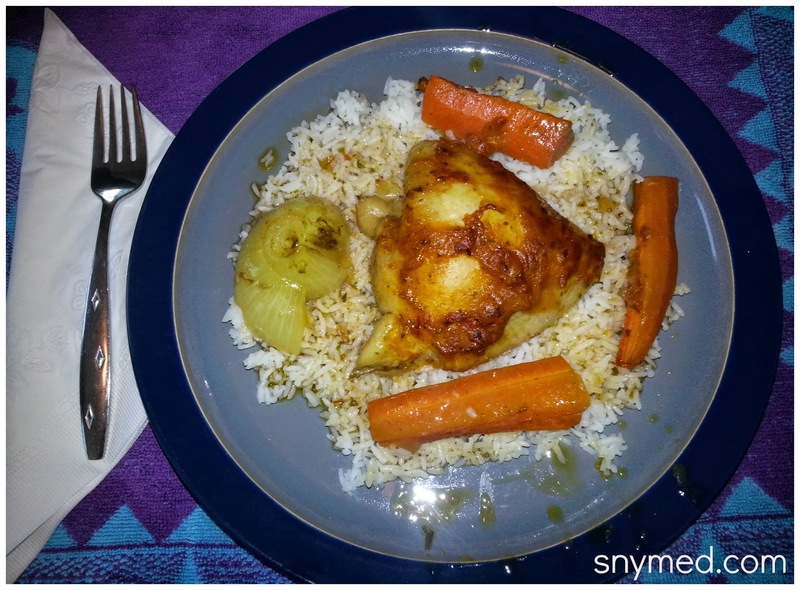 Check her recipe for Sesame Chicken with Orange Scented Rice, below, if you're looking for dinner inspiration! 1. Whisk the salad dressing with the orange juice, soy sauce and honey; toss with chicken. Heat the oil in a large, nonstick skillet set over medium heat. Add the chicken and cook for 5 minutes per side or until cooked through. 2. Meanwhile, prepare the Uncle Ben's Wholegrain Brown Rice without butter. Add the orange zest and cilantro when ﬂufﬁng with a fork. 3. Serve the chicken thighs over the rice and sprinkle with sesame seeds. What is your favourite way to serve rice (ie: in a soup, with chicken or meat, on its own, etc)? Do you remember the first meal you ever learned how to cook, and do you still make it to this day? I love cooking with my sons and I'm glad that enjoy learning how to fix different dishes. Your dish looks great! Handsome Young Cook It Looks Delicious Looks Like He Had Fun! Your dish looks so delicious! My nephew also loves to cook. I think it's a great learning experience! He looks so proud of himself! I really do need to let my children help more in the kitchen. Awe, he did a fantastic job! What an awesome recipe. I'm still in awe about your first paragraph. No way would my 3 year old could have done that. He's 4 now and No way I'd let him in the kitchen all my himself. What a sweet story. Keep them learning!! I think it is fantastic that you're teaching your son how to cook. I'm not the best in the kitchen but I try to incorporate the kids when I can. It's a great life-experience! Aww...He did a great job!! I grew up eating rice and I think the very first recipe I learned to make was hot dog fried rice. It's something I have started making for my kids since they love hot dogs and egg. This is awesome! I need to let my five year old help me more in the kitchen. Your son looks so happy to have helped with dinner. I agree with you on letting them help so they see the food is prepared with love and great care. I never thought of it that way. Aww, bless! I'm laughing so much at the single Cheerio on everyone's plate. I was expecting to end with some colossal mess, but no, how fastidious! 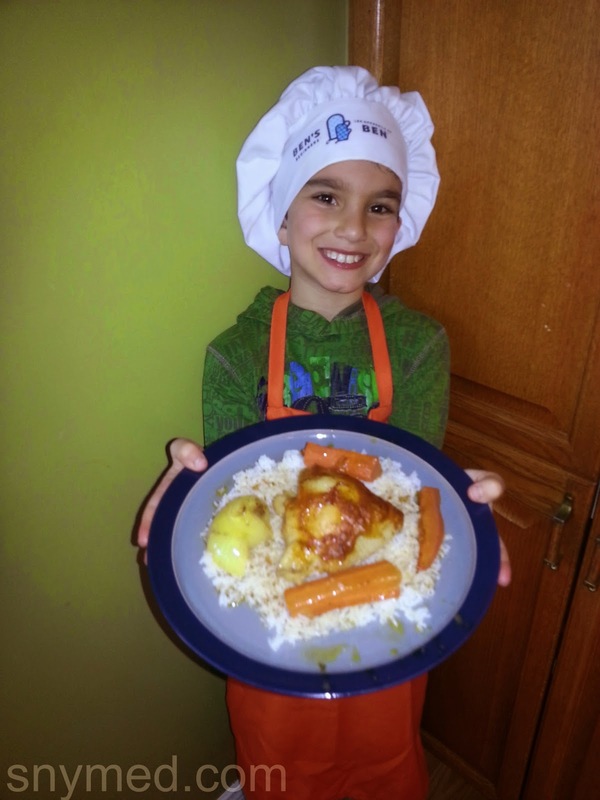 I love how you are nurturing the interest in cooking and helping him cook this yummy chicken meal. These things really do leave an impression, my mom taught me how to bake and I credit my yummy baking skills as an adult to her! I love crispy roast chicken with rice. My mum taught me how to cook. yum! I too! Love Indian cusine! Looks like a wonderful meal! I love this! Your son looks like he is having so much fun! And he is learning greats skills for later in life! Oh my! What a cute little guy and he might be a great chef someday. The food looks so delicious, i love chicken and rice. We in fact eat rice everyday. He looks like he had a blast.